It’s the glorious season of spring and we welcomed it with a visit last weekend to a friend’s homey cottage outside of Praha. While we were enjoying ourselves despite the cold weather, my little girl C kept herself busy tinkering around. 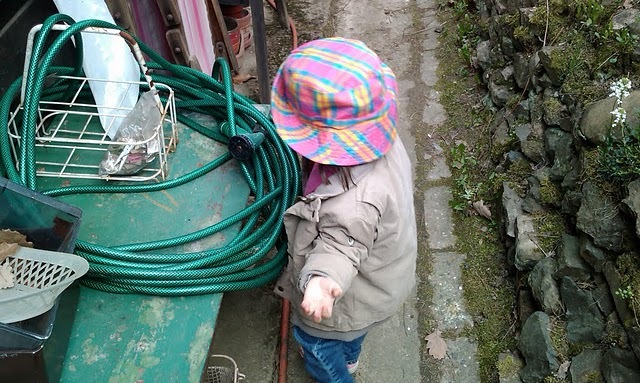 Aside from wandering in the garden, she picked up a gardening tool and played with it. Few of my friends have taken second courses to cope up with the demands of times. I know many doctors who took nursing courses coz nursing is more needed abroad and working abroad means bigger financial rewards. Recently I heard a friend who’s planning to take Information Technology (IT) degree coz it pays well here in CZ. Her work as an English teacher which she’s relying on for her survival doesn’t offer enough to pay for all her needs and expenses. If ever she decides to go back to school, juggling her studies and work would be difficult. But it can be done. Getting a degree online has become a trend these days for busy people because of the flexibility it offers them. November 22nd, 2009way to go Ef! 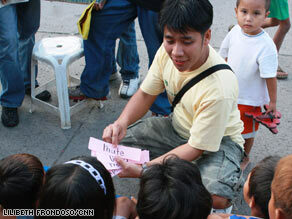 CNN has already named the CNN Hero of the year 2009 and the top recognition goes to Efren Peñaflorida, a Filipino educator who brings education to the slum areas armed with his improvised pushcart classroom. His inspiring story reminds all of us that it doesn’t take much to help others. Even with little resources and a low key personality, one can make a change in the society. What one needs is a BIG heart to do this for others. Congratulations Efren! Continue to inspire the youth and the rest of humanity. God bless your team! “Education is expensive, try ignorance.” – my financial guru once told us. I’ve recently blog about choosing a college to attend to which is one important decision a student has to make. Another important consideration is the school fees. 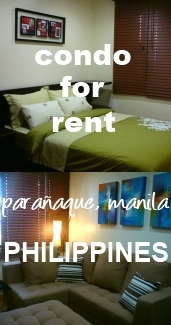 There are students who wanted to take courses in medicine or law but the tuition for these courses are high thus they would settle for less-expensive ones.